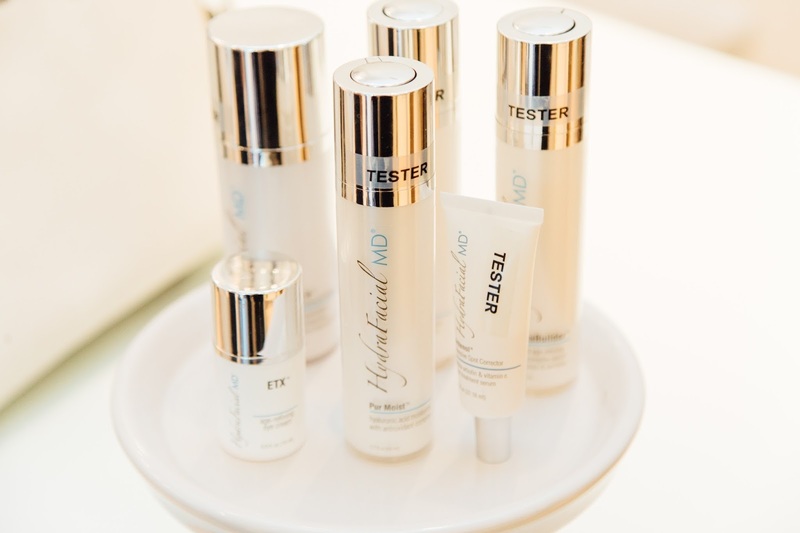 Recently I have been reading a lot of reviews in magazines for a product called HydraFacial. 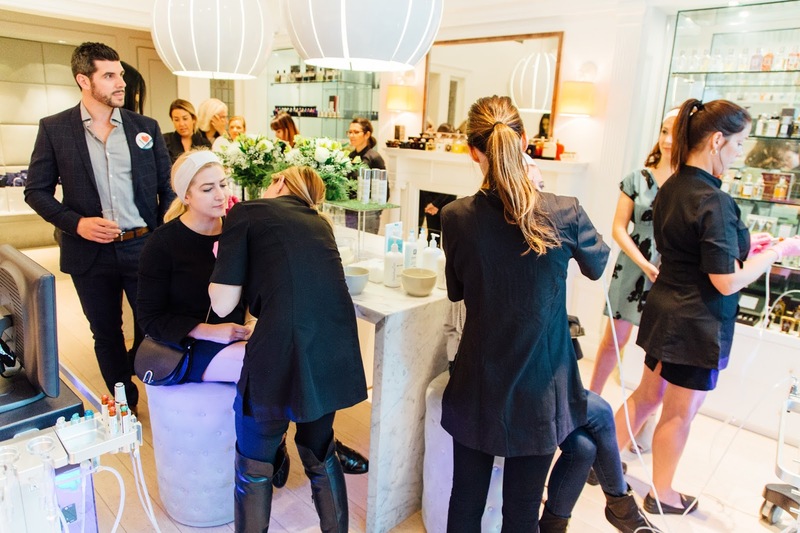 This past week I had a chance to learn more about and try HydraFacial at a special launch event. HydraFacial has been labeled as the treatment of the stars, so of course with some skepticism and intrigue, I had to try it. If you don't already know, I am obsessed with the products and treatments that I use on my skin. When I was in my 20s, it didn't phase me. But in my 30s and now closer to 40 (yikes!) I take extra care of my skin. Your skin is most beautiful when it’s healthy, am I right? 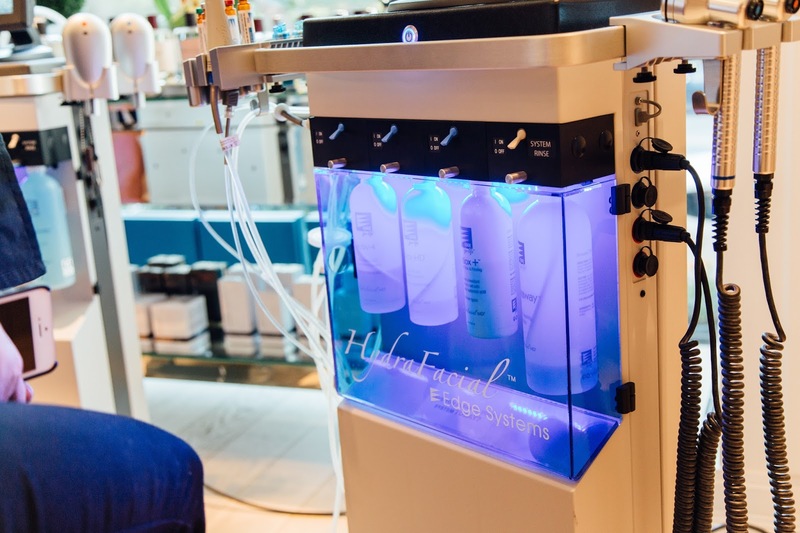 HydraFacial is a non-invasive, multistep treatment that combines the benefits of next-level hydradermabrasion, a chemical peel, automated painless extractions (no pinching!) and a special delivery of Antioxidants, Hyaluronic Acid and Peptides. It does all of this in one quick treatment of 30 minutes that delivers real results without downtime or irritation. And since I have sensitive skin and easily turn red, this sounded like the perfect treatment to try. 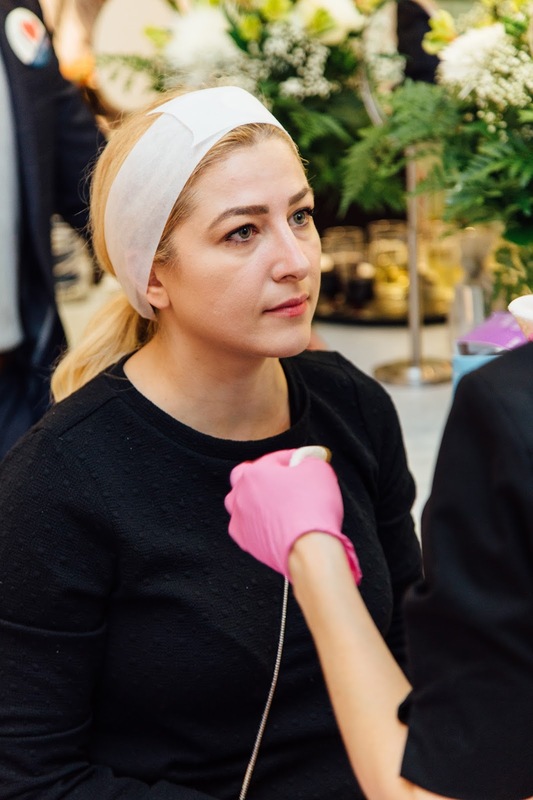 The treatment can range anywhere from $150 - $250, depending on where you live, and can be catered to specific needs such as; Fine Lines and Wrinkles, Elasticity & Firmness, Skin Tone Evenness & Vibrancy, Skin Texture, Hyperpigmentation/Photo Damage, Oily/Congested Skin, Enlarged Pores and Advanced Signs of Aging. 1. Vortex-Exfoliation Activ-4 serum removes dead skin cells to uncover healthy skin. 2. Vortex-Peel Glysal serum, a mixture of Glycolic and Salicylic Acids delivers the benefits of a peel without post-peel scaling. 3. Vortex-Extraction Patented, painless vortex-suction cleans out pores with the help of Beta-HD serum. 4. Vortex-Fusion Antiox+ serum is delivered to nourish and protect skin with Antioxidants, Peptides and Hyaluronic Acid. Instantly after the treatment my skin had a beautiful pink glow. My skin felt hydrated, smooth and supple. I didn't feel like I needed makeup to cover my skin, and the pics above show my skin without makeup (a first for me on the blog). 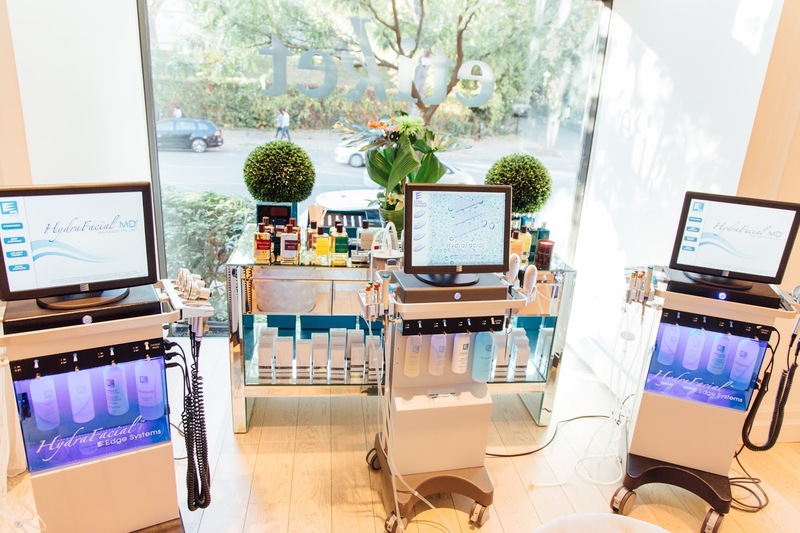 If you're in the Montreal area, pay a visit to Etiket for your HydraFacial. 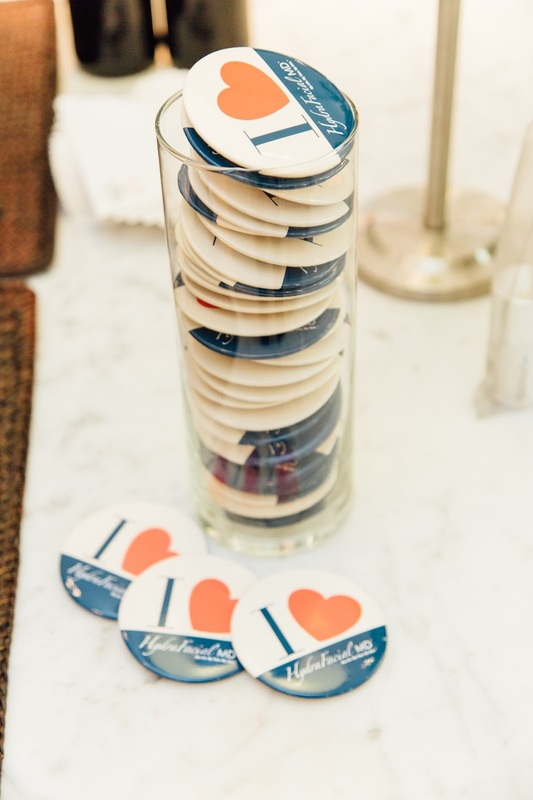 The staff is amazing and you won't be disappointed with the results. If you have tried this treatment or plan to, I'd love to hear what you think about it. I haven't tried it but I am so intrigue to now.